It’s a real tough hill. The gradient doesn’t get ridiculously steep; the max is about 17%. 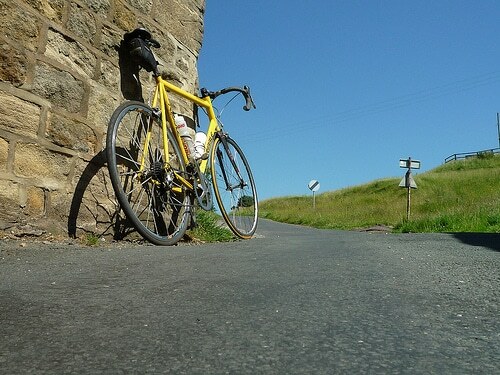 But, it stays close to this 16% gradient for quite a long time at the start of the climb. After a mile, the gradient eases off and there is a long drag to the finish. It is quite exposed near the top, so wind direction can make a difference. For a change, my lowest gear of 39*25 didn’t feel too bad. But, I stayed in it for a long time, and it did get really hard work towards the end of the steep section because of the unremitting gradient – but it didn’t nearly kill me like last week’s Bushcombe Lane. Apart from winning the Menston Cricket Club under 13 fielder of the year award (1989), my main claim to fame is suggesting Trapping Hill (Lofthouse to Masham ) as hill number 145 for Another 100 hill climbs. I didn’t stop to take photos today. This is from a few years ago. Trapping Hill has a personal significance because it was my first major climb that I conquered, aged about 13. (perhaps even the same glorious sporting year as winning that prestigious fielding award). In those days, I hadn’t even joined Otley CC or started a weekly club run. But every year, I’d go with a friend camping to How Stean Gorge in Nidderdale. We would take our bikes, and completely untrained, we would go out for 50-70 mile rides on the bike. When we came back, we were absolutely wasted and couldn’t walk for 3 days. It was all tremendous fun, though I think the illicit bottles of Belgian beer hidden in the sleeping bags helped quite a lot. 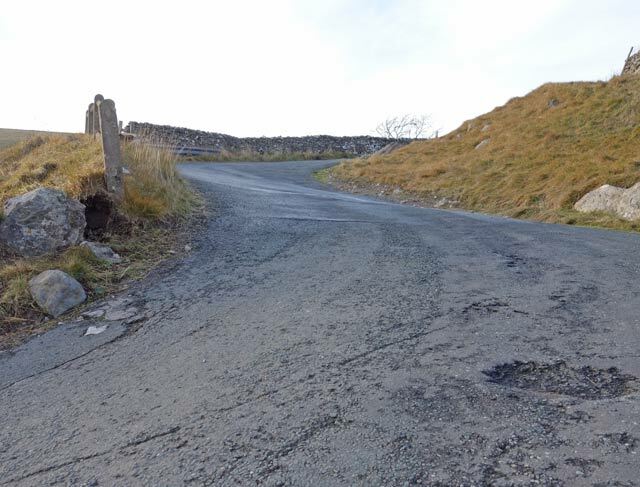 As a youngster, I never thought I had any natural talent for sport, but looking back, I did always manage to cycle to the top of these epic hills (like Trapping hill and Greenhow hill) – even if completely untrained; my friend Peter Joanes, poor chap, was soon reduced to walking. He really suffered. I used to have to either wait for 10 minutes at the top or go back down the hill and go up a second time. In those days, Trapping Hill seemed an almost impossibly steep and long hill; it was a major adventure to tackle it. Today, it’s not quite as difficult as I remembered, but it was still good to go back and relieve those early cycling holidays. From Guise edge looking towards Pateley Bridge. I raced up here earlier in the year. today it was just a nice descent. From Menston, it’s quite hilly to get to Nidderdale. I went over Norwood Edge and up the back of Greenhow hill before dropping into Pateley Bridge, down Guise Edge. 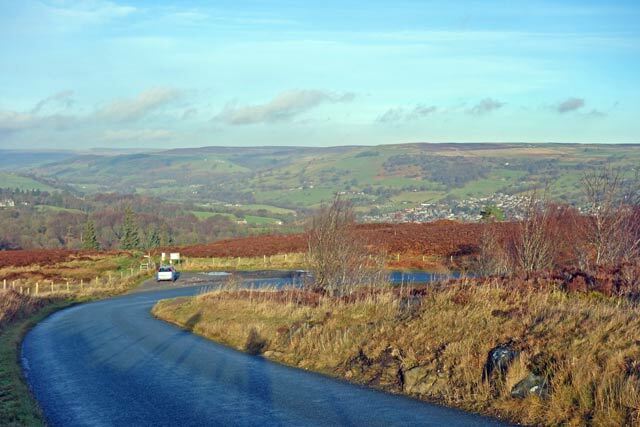 From Pateley Bridge, there is a nice 7 mile road towards Lofthouse, before you turn right up Trapping Hill, towards Masham. At the top of Trapping Hill, the plan was to do a u-turn and head back. But, it was a beautiful day, and a rush of blood inspired me to end on towards Masham. I don’t really know these roads too well, but I got an idea to head over towards Masham and Middleham before coming back through Coverdale and Park Rash. It’s quite an ambitious ride in the middle of summer. But, close to the shortest day of the year, it was pushing the limits of daylight. 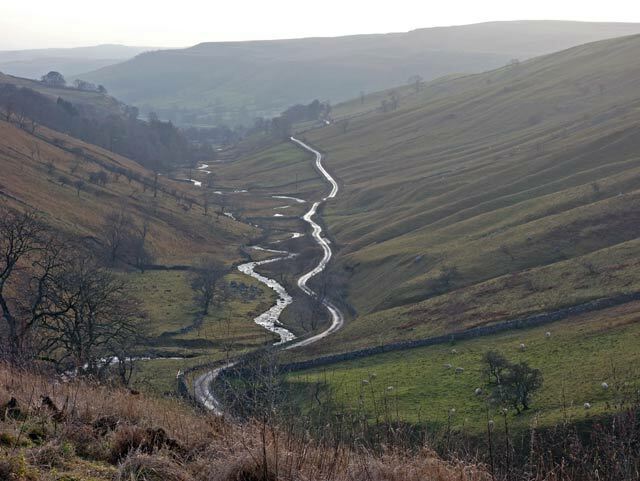 Coming back south from Middleham towards Kettlewell was hard work. There was a light headwind, and the roads were eerily quiet. I wanted to keep a good pace because I worried about getting enough day light. The climb to the top of Park Rash (north to south) isn’t really satisfying. From Middleham to the top of Park Rash, there is a net height gain of about 350 metres. But, there is no steady climb, just miles of rolling terrain. You keep thinking that you’ve started the climb, when the road dives back down to the valley floor and you have to regain what you’ve just climbed. It was a long slow drag over the rolling terrain before I even started the Park Rash climb proper. At least from the north there are no crazy 25% hairpins, but it was still hard work into the wind. Coming down Park Rash, you need to be careful; it’s really a wicked descent. I stopped to take some photos because it is quite photogenic. I didn’t do it today. 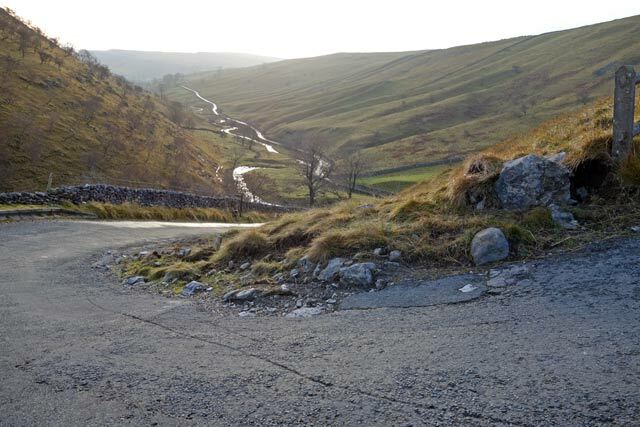 But, Park Rash from Kettlewell is a real hill climb test. Wicked 25% gradients, it’s a real must do hill. After a few hours cycling in the wilderness of Coverdale, it was a relief to reach Kettlewell and more familiar roads. After the hills of Coverdale, it felt relatively fast going south through Grassington, Burnsall and Ilkley before one final climb up the Cow and Calf. It was a good day’s cycling – another good winter day, despite the temperature of 4 degrees. It was 84 miles at an average speed of 15.9mph. But, with over 2,700 metres of climbing – quite a testing day for a mid winter ride.